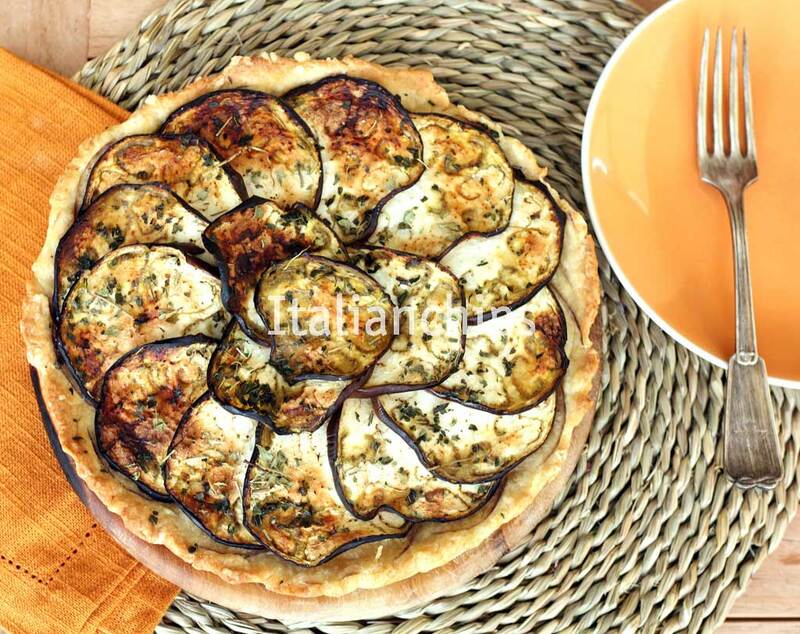 I prepared this eggplant tart today and it’s already one of my favorite recipes. It is so easy and quick to prepare and the only time needed is for baking. I love eggplants. I should say I love them since I live in Italy, as it is kind of national product ;-). Their season is during Summertime, but you can find them all the year over at the local markets. Of course, the seasonal ones are better, but those grown in greenhouses are good for many recipes. 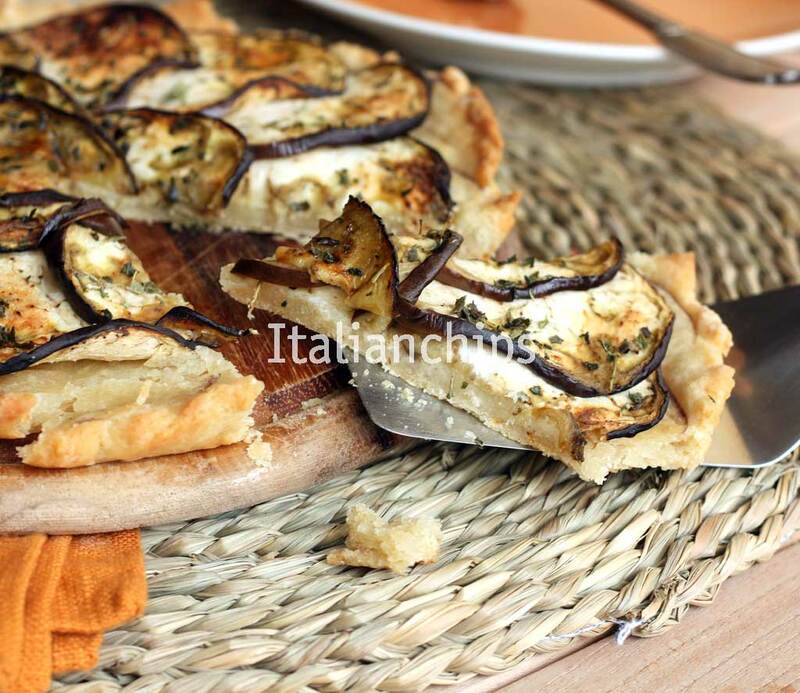 The most known Italian eggplant recipe is the Parmesan (here my light version), which is a classic. 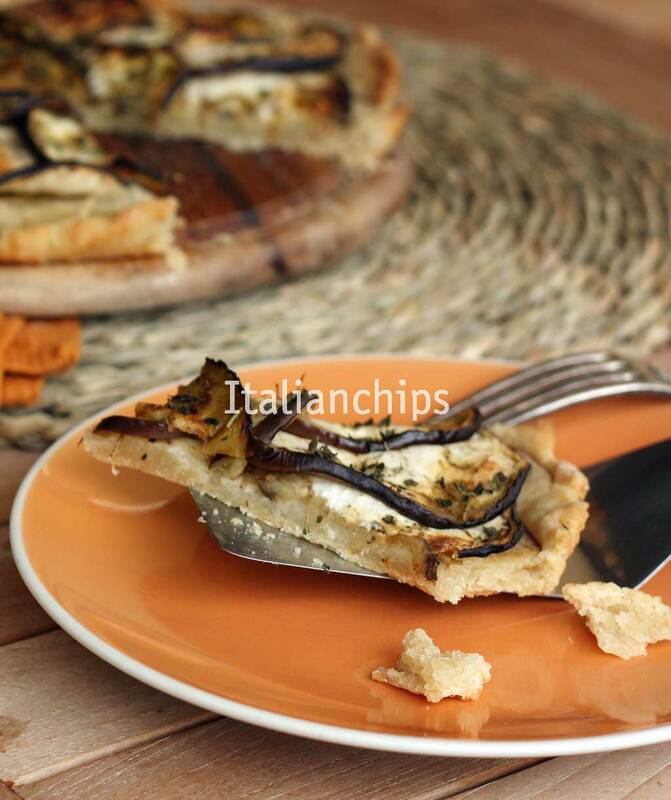 But there are so many ways to prepare it such as my favorite recipe for baked eggplant (au gratin), a light stuffed eggplant recipe, crispy baked eggplant slices, eggplant cordon bleu, or an irresistible fake parmesan recipe. I found the pie crust at ArabaFelice in Cucina Italian blog, which always suggests great recipes (like banana pancakes or roasted tomatoes among others). She prepared it with zucchini, but I decided to use eggplants just because it seems that I’ve been cooking too much zucchini lately ;-). What else to say? Just try it… and you’ll be one more fan of this recipe, I’m sure. Put the flour, the salt and active dry yeast into a bowl and mix them. Add the oil and the boiling water and mix with a fork. Continue with your hands just until it's well combined (less than a minute). Spread it on a pan (10,5in) covered with parchment paper. 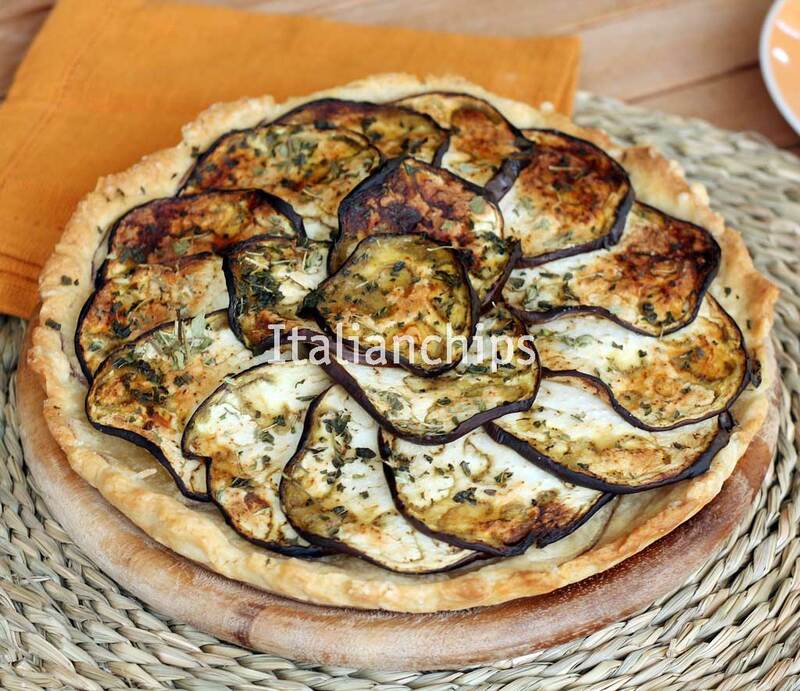 Slice the eggplant thinly and place them over the crust overlaying them a bit. Sprinkle some oregano, salt and add a thread of extra virgin olive oil. Serve it lukewarm or at room temperature. Good also for the day after.